For those of you at Magnetics 2013 in Orlando, FL last month, you’ll probably recall a discussion regarding fused salt electrolysis. At the Conference, it was noted that this is a key technique used to turn rare earth oxides, and specifically neodymium oxide, into pure metals. The problem is that no one in North America does fused salt electrolysis for neodymium, samarium, dysprosium or terbium metals in their production facility. 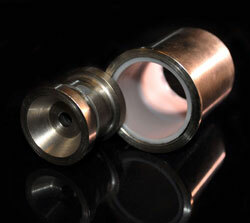 This is a major break in the value chain for US sintered NdFeB and samarium cobalt magnets. Despite the current mining activity in North America, whatever rare earths are dug from the ground and refined into oxides must be sent overseas to be turned into metal. Then, and only then, can we begin to consider the next step of combining metals together via vacuum induction metaling (VIM) to make a magnet alloy. Certainly, the description above won’t allow you to run out and make your own neodymium metal. The process is technically challenging, requires high amounts of energy, and produces environmentally challenging by-products. In sum, it’s not something you really want to try in your garage or back yard. Unfortunately, most of the world’s capacity for turning oxides into metals resides in China. Through years of research, development and production experience, China has become, in many ways, the technology leader for rare earth processing and refining. There are some additional fused salt electrolysis facilities in Laos and Vietnam, but these are also supported by the Chinese. You can produce rare earth metals from oxides via reduction, but this method does not work as well. By maintaining its hold on the fused salt electrolysis process, in addition to its dominance in mining and magnet production, China can manipulate and control the prices for rare earths. Certainly having oxides from non-Chinese sources is helpful, but until the ability to convert these oxides into metals is readily available outside of China, the rest of the world is not independent. One can be somewhat encouraged that Less Common Metals, which is part of Great Western Minerals Group, recently added electrolysis cells to its operation in the UK. These cells are not operational yet, but reports indicate that they will be up and running by July of 2013. This is a big step in terms of breaking the hold China has on global oxide to metal production. Watch the news for further developments in this area. 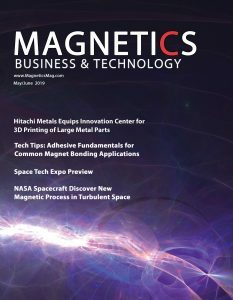 Ed Richardson is vice president of Thomas & Skinner, and president of the United States Magnetic Materials Association (USMMA). He has more than 18 years of experience in industrial manufacturing and business-to-business marketing.Â He has a B.A. from DePauw University, where he was a Management Fellow.Â He also has an M.B.A. from Indiana University’s Kelly School of Business. Mr. Richardson has written numerous articles on rare earth supplies and their impact on the US magnet industry. He has been quoted in an array of news publications and media outlets, including The New York Times, The Washington Post, The Wall Street Journal, US News and World Report, The Financial Times, Bloomberg Business Week and NPR.